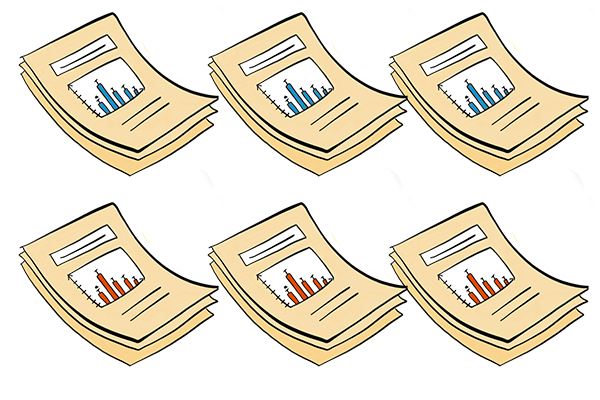 Altmetric data can provide valuable insight for publishers, editorial teams, authors and readers on how their published content is being used and shared around the world. Our badges can be easily embedded into any platform to showcase the online activity relating to individual articles, and our flexible API can be used to display data across your site. 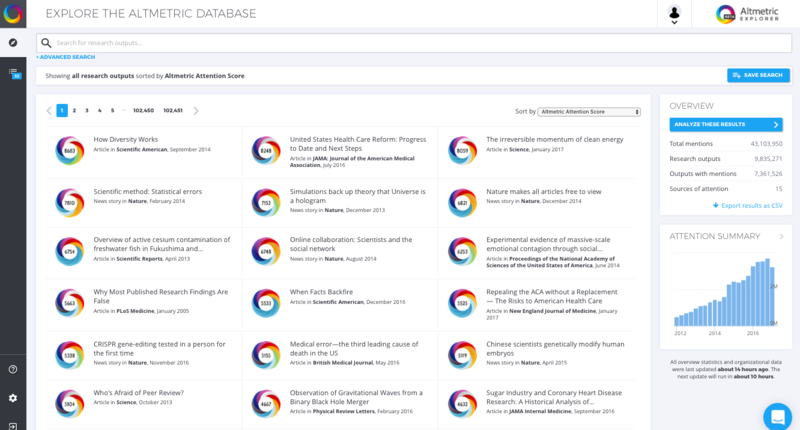 The powerful Altmetric Explorer enables your teams to access our full database, where they can monitor and report on the dissemination and uptake of every publication. 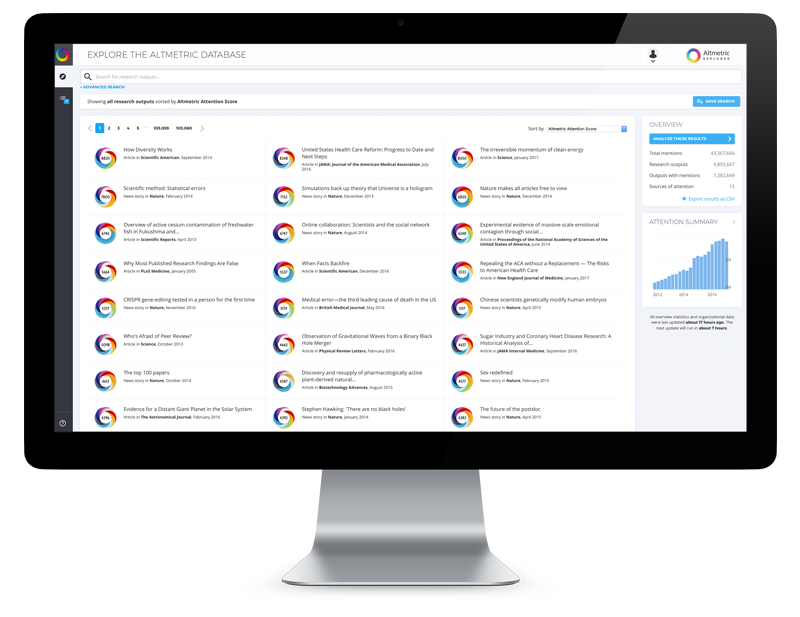 The Altmetric badges and Explorer make it easy to see which of your research is being talked about and shared the most – helping you determine successes or areas for improvement. 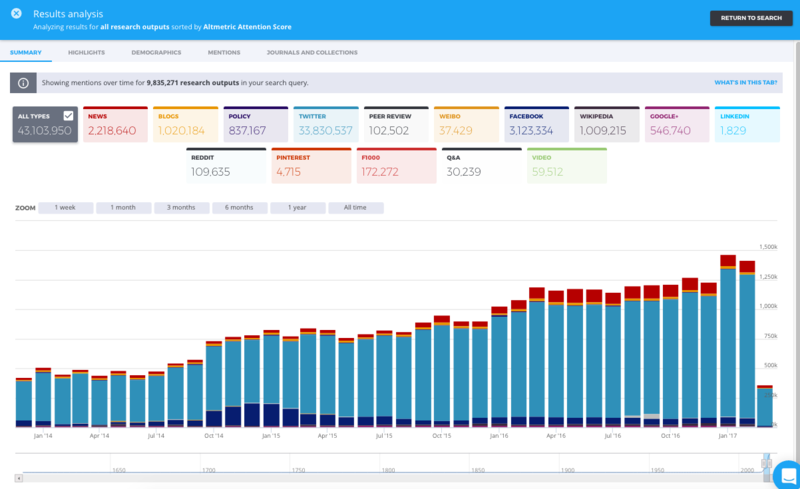 Including altmetrics data in reports to editorial boards or other key stakeholders can help demonstrate and reinforce the value of the work your teams are doing. Authors increasingly look for instant feedback on their research – adding Altmetric badges to your platform ensures this is provided in a reliable and transparent format, with no administrative burden. 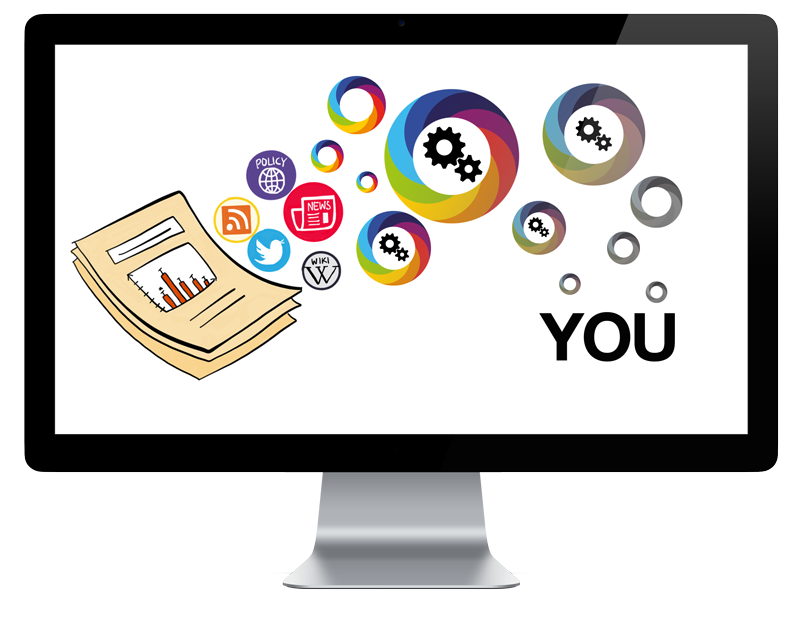 Our intuitive database gives you and your teams access to the attention data for over 4 million scholarly outputs – enabling you to monitor and report on the altmetrics for your content and benchmark it against other publishers. 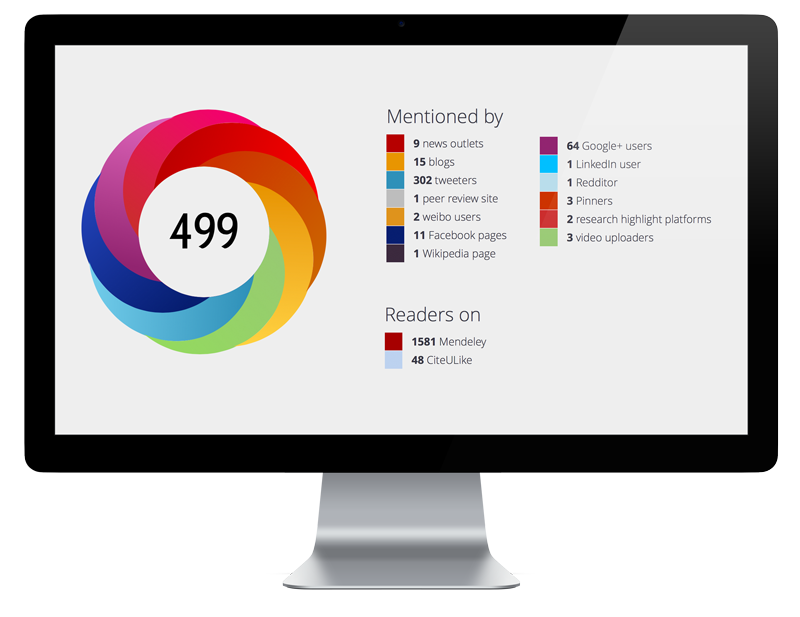 The easy-to-embed, distinctive Altmetric badges provide your authors and website visitors with an at-a-glance summary of all of the online attention for each publication, and offer instant access to the Altmetric details page for each item. 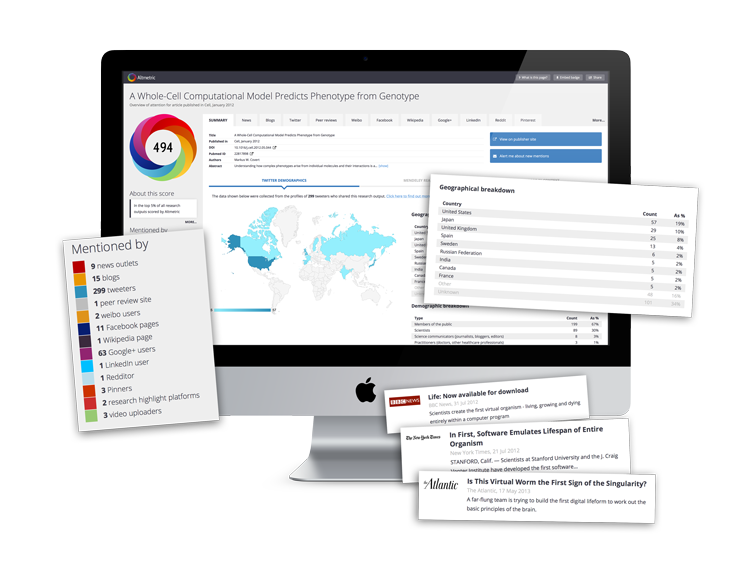 Access to the robust Altmetric API means you can tailor the look and feel of our data to fit with the design and layout of your site, or incorporate Altmetric data directly into internal reporting systems using our simple JSON output. Many publishers—large and small—are already using our data to inform their future strategy and provide value to their readers and authors. Take a look at some of our case studies to learn more.